Greater Manchester Chamber Blog: Friday Guest Blog - Did the Queen of Shops Get it Wrong? Friday Guest Blog - Did the Queen of Shops Get it Wrong? In December 2011 Mary Portas published her report into the on-going decline of the British High Street. In her report she clearly identifies the upward trend in eCommerce as one of the main reasons why sales and footfall on the nation’s high streets are in free-fall. Mary makes 28 recommendations all of which are valid but I am left wondering why she doesn’t encourage the small trader to believe that they have as much right to profit from the opportunities of eCommerce, Social Media and Search Engine Marketing as the big boy multiples with their enormous digital marketing budgets? I am essentially Mary’s cause – Queen of my own shop and the proud owner of Venus Flowers. 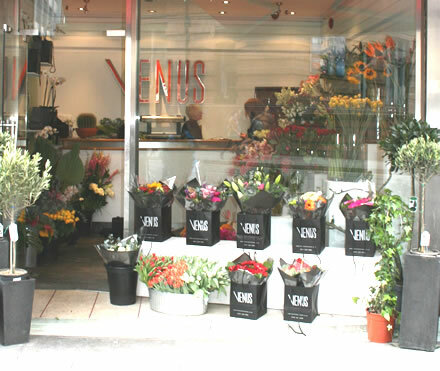 A Manchester City Centre florist – a somewhat unusual sight in Manchester City Centre these days – a small independent retailer who engages in a daily battle to survive if not thrive in the brave new world of post credit crunch depression. Like most small businesses I recognised years ago that I needed an on-line presence and have since lost count of the amount of time and money I have spent engaging with ‘experts’ in the field of web-design. I am now onto the third developer and the third version of my site the previous two being utter disasters the details of which I don’t have the time or energy to go into. I have literally lost thousands of pounds and at times my faith in humanity. Sadly, I know from talking to other small business owners that I am not alone. I realised that without knowledge I would never have control, I understood something of every other area of my business why not this one? 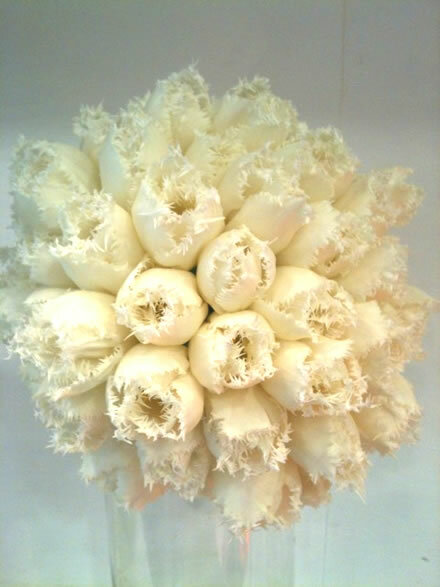 So after some research (web based of course), here I am attending Salford Business School’s Search and Social Media Marketing Course, a slightly nervous florist/business owner/complete novice. now gets a title of “Spring Brides Bouquet” (in response to a small but significant number of long tail searches I found when I was developing my keyword plan), and becomes a part of venus flowers blog I am writing on the subject, this will include a video of us making a Spring Brides Bouquet as well as links back to my wedding page where brides to be can click on a link to request a no obligation consultation – impressive hey? In the meantime I have been able to share this image with our Twitter Followers. Using Goolge Adwords to research how people are searching for your products and services has to be the simplest but the most revealing part of the course for me. Why is it when I have paid thousands to have an eCommerce site developed I have been asked to write my own content “so it will be more authentic” without so much as a reference to the importance of keyword research? This ranking is more by luck than judgement, but I rank nowhere for “flower delivery Manchester” which has far higher search numbers – time to write some content! I have also learned that my industry language isn’t necessarily the language of the searcher, when writing I would always use the term Sympathy Flowers believing this to be more grammatically acceptable, however my Google Adword research revealed only 480 monthly searches for this term and over 12,000 for “Funeral Flowers” – time to get back to plain English and write even more content! Suffice it to say that encouraged by my tutor and our guest speakers industry experts like the mind-blowingly brilliant Mark Johnson from Latitude and Dan Taylor from Seowned both of whom have restored some of my faith in the integrity of the industry, I now have a fully researched keyword plan. This along with a carefully considered Pay-Per-Click (PPC) campaign for the areas I don’t yet rank organically for means that hopefully I should get a return on my course investment in the near future. Having spent ages agonising over why a competitor who (in my humble opinion) has a poor website and isn’t actually anywhere near as good as we are consistently out-ranks us for some key terms. Using tools and techniques I have learned over the last four weeks like using google link query and SEOToolbar, I have been able to compare our sites and it’s clear that the only reason for this is the number of links into their site. Link-building is somewhat more time consuming and complex than keyword research and content writing, it also involves good old fashioned relationship building and networking. I however understand how vital this is to Google and also how to go after links with authority – quality rather than quantity. Watch this space competitors I’m on your case! So…eCommerce and the High Street – Crisis or Opportunity? Having read my blog tell me what you think, do you think that eCommerce can help small business owners to stay on the High Street or are you with Mary Portas and believe that eCommerce will mean the end of British High Street?